Up to 9 hours of battery life! Now that’s a full of day of work or several class sessions. If you drain the battery of a NB205 in a single working session, then you’ve been working too long. Model numbers vary in color. The most popular model, mini NB205-N210, priced at $349.00, is NOT equipped with Bluetooth. 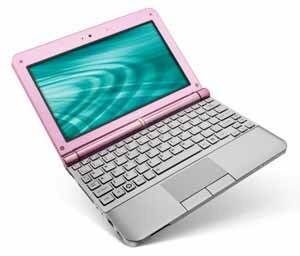 More choices for Toshiba Netbook NB205 on eBay displaying the ones available for $300 or less. Some have “FREE SHIPPING.” Look for those.